Light construction and classic elegance. 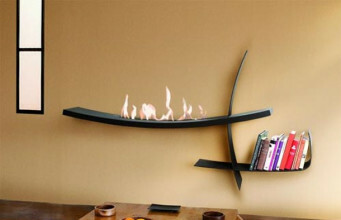 Wall B bio fireplace is a combination of traditional and modern design. It is one of the newest projects of a famous Italian architect Andrea Crosetta, who is promoting Antrax It company. 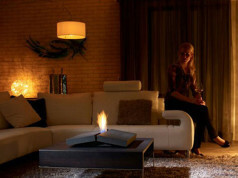 Bioethanol fireplaces revolutionized our market. Bioethanol-fired ecological devices are modern furnishings of the minimalistic interior. 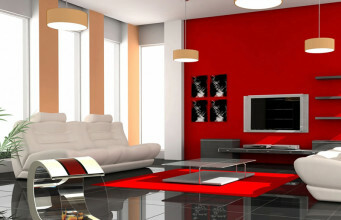 It’s perfect solution for people, who have small apartments. 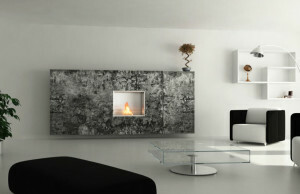 The main advantage of bio fireplaces is that they don’t need any chimney-ventillation system to function properly. Wall B, made of high quality steel, brings in subdued romanticism into every interior. It is destined to be wall-mounted and looks like stylish piece of furniture with geometrical shape with subtly rounded edges. 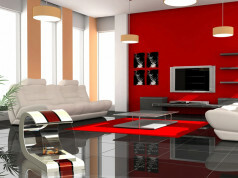 Simple, precise form matches interior with any style. 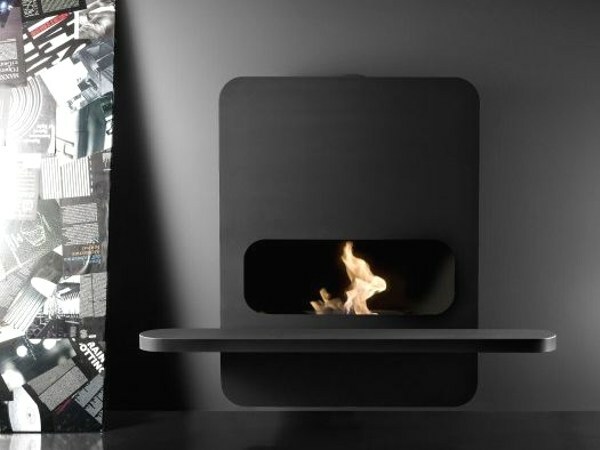 Dark tone colours of Wall B bioethanol fireplaces focus our attention on jumping flames inside the burner. 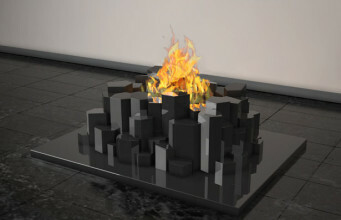 Andrea Crosetta, using context of tradition, designed minimalistic piece of art. 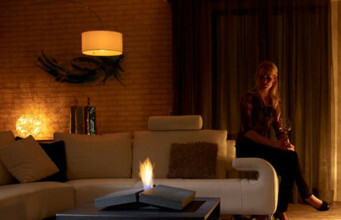 Bioethanol fireplace delightes with lightness. Mounted on a wall, looks like being “hovering by air”. 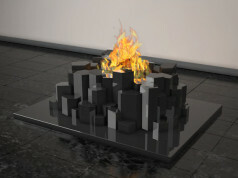 Harmony between the black steel housing and lighting up fire, brings in the atmosphere of mysteriousness. 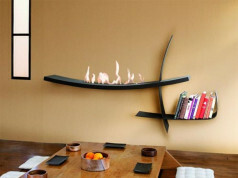 The rectangular shelf is functional element of bio fireplace, we could put vase, refined dish or bottle with good wine on it. The burner of device is placed inside the steel frame and could be screened by a lid.